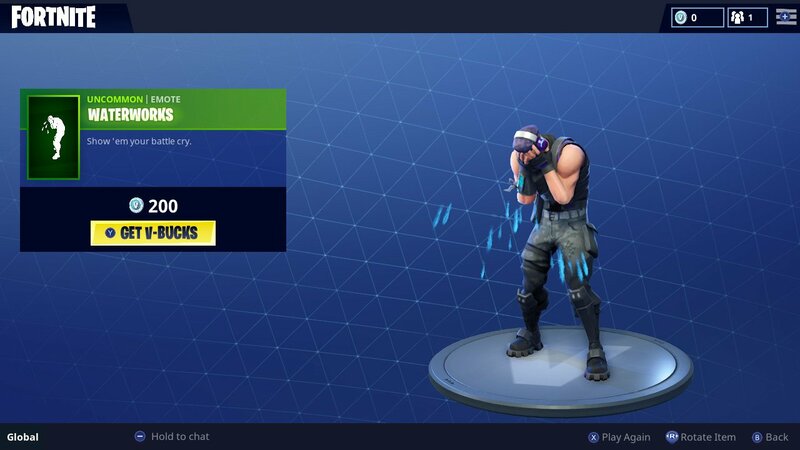 Epic Games has revealed that the Waterworks Emote is now available in Fortnite, perfect for when want to show that you’re finding it hard to survive in the free-to-play battle royale game. You will need to hand over 200 V-Bucks for the emote, which sees your player avatar (battle) crying their eyes out. Over the weekend, the developer has also added the Omen Outfit (2,000 V-Bucks) and Oracle Axe (1,200 V-Bucks). For when that play doesn't quite work out.